Nuanced design and futuristic tech meet in the form of the FurniQi Bamboo table. 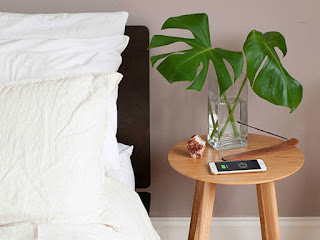 This simple table works well as a night stand or living room table and, best of all, it will wirelessly charge your Qi-compatible phone just by setting it down. Take the hassle out of wired charging while complementing your home's design. Affordable, sustainable, and easy to assemble, this table will make your life easier and your living space prettier.